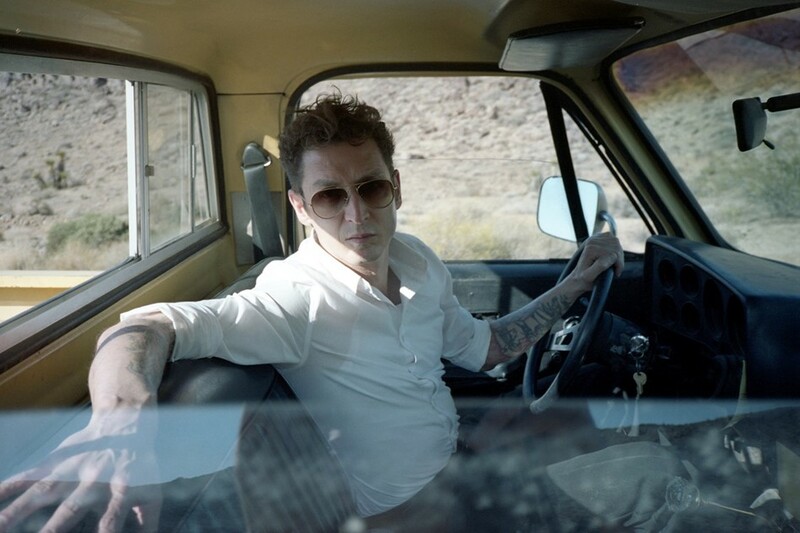 Portugal's blues-punk superstar The Legendary Tigerman returns for his sixth album, Misfit, finding himself in a desert-set road trip tale of one man's search to become nothing. The modern-day concept album will be released in the US & UK on August 24th via Dirty Water Records. In a society of drifting alienation and a constant struggle to make oneself heard, noticed, validated, and loved, one man disconnects, drops out, and embarks on a journey of self-discovery in the pursuit of non-existence. On a twelve-day road trip from Los Angeles to Death Valley, Portugal's prodigal blues aficionado and multi-instrumentalist Paulo Furtado (aka The Legendary Tigerman) immersed himself in the life of the philosophically-disturbed protagonist of his own story. Each day rising, driving, scribing, and by night — armed only with his guitar — penning the songs that would make up his sixth record, Misfit. Lead single “Motorcycle Boy” kicks off the album with a classic rock riff, drums cracking and pounding to create a dark disco beat that rises up behind Furtado’s menacing croon, and builds to a grooving chorus. It's a potent opener of sweat-dripping desert rock. Close your eyes and you're in his classic convertible, top down, racing through the dust and sun. A wailing saxophone creates a paranoiac wall of sound before the song drops off and into “Fix Of Rock’n'Roll," a Black Rebel-filtered tale of dirty desire. On “Black Hole,” Tigerman is at his most dramatic, the song crescendoing with driving intensity, while the following track, “Holy Muse,” sees him drifting arm in arm with Tom Waits through his more intense barroom brawlers. Penultimate track “About Alice” brings back a more dancey groove, albeit under a sparser and more jagged instrumentation, before he signs off the record with the boozy “To All My (Few) Brothers,” which drifts off into oblivion. As an addition and celebration of all things Tigerman, the US/UK release of Misfit includes a bonus EP: Misfit Ballads. On these four bonus tracks, Furtado shows his sweeter side, as the songs drift breezily along, closer in style to his previous collaboration album, True. He throws in a beautiful woozy cover of Tom Waits' “Tango Till They're Sore” along with three of his own that skirt close to sounding at times like Leonard Cohen.